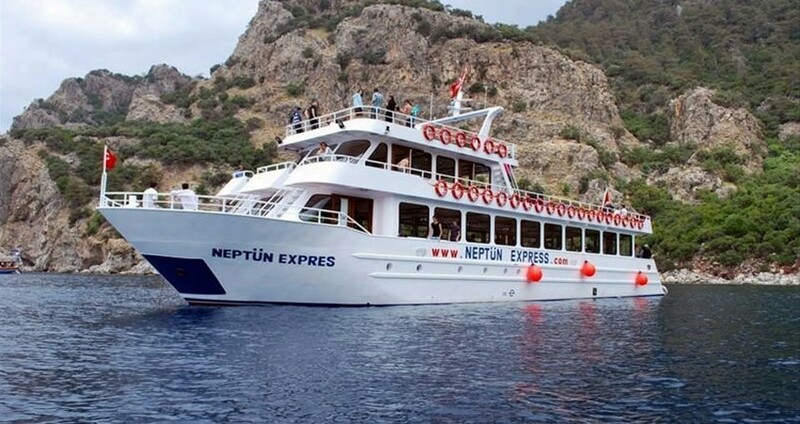 You can see the available dates for Marmaris Dalyan Tour (By-Boat). Please use the booking widget to make reservation. 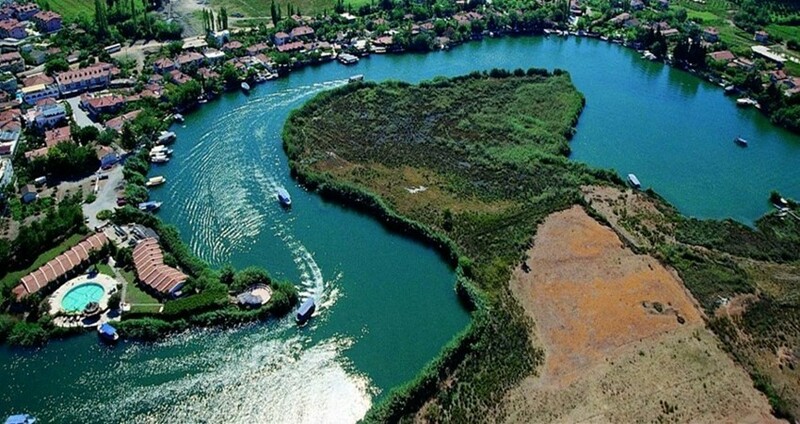 Our Marmaris Dalyan Tour (Turtle Beach) is a full day trip and you need the best-equipped boats to travel that long. We arrange for the tour in one of our best 3-storeyed boats with sunbeds on the terrace. Down stairs have tables, chairs and modern amenities including showers and toilets maintained at their best. We have two well-stocked bars onboard open all day serving. The tour begins early in the morning when we pick you from your hotels at around 8:30 hours. 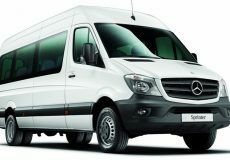 We move in our comfortable vehicles to the Marmaris Harbor where our boat awaits you. The crystal-clear waters and the clear blue sky provide an ideal setting for our journey to begin. 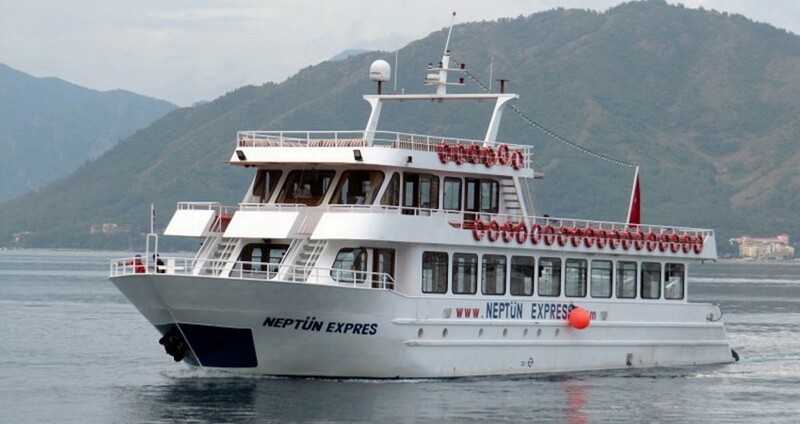 The journey by boat from Marmaris to Dalyan is around two and a half hours. On the way, we stop at Kizilkum Bay for a swim lasting for over 30 minutes. The Dalyan National Park hosts some of the most attractive places like the Iztuzu Beach which is a 7 Km long narrow stretch of sand separating the Mediterranean Sea and the fresh waters of Köyceğiz Lake. You can swim in both these stretches of waters at the beach. 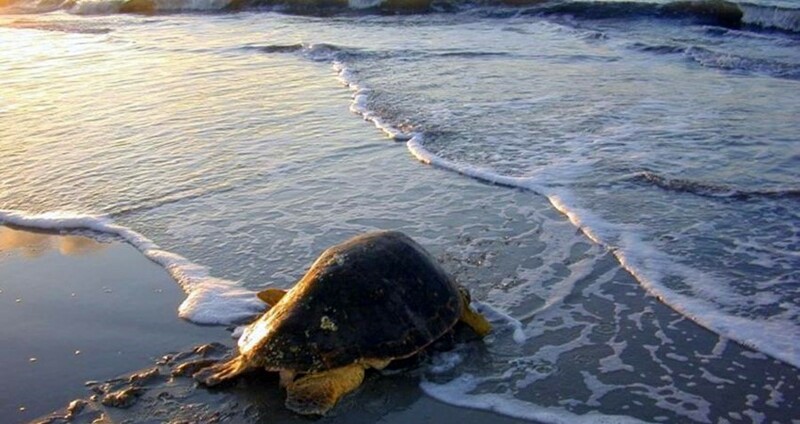 If you are lucky enough, you may be able to see the Loggerhead Turtles swim or pass close by you! 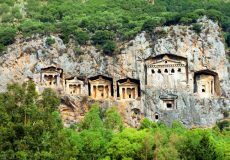 These two places are an added attraction to our Marmaris Dalyan Tour. 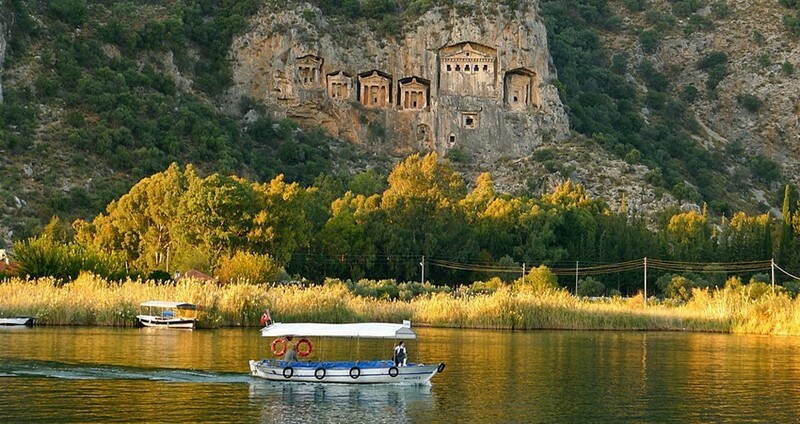 From Dalyan, we reach the place near ancient Lycian Temple Tombs of Kaunos in some smaller canal boats. Our tour guides accompanying you relate the historical significance of this place. From here we reach the thermal mud baths near Dalyan. Mud bathing in these thermal pools is said to make you look younger. After a joyful mud bath, you can clean yourself at the showers and have some refreshments at the cafeteria nearby. After visiting these two places, we expect to arrive back to Marmaris by 19:30 hours in the evening. Dalyan in Mugla Province of Turkey is a quiet town on the banks of the River Dalyan. The region has remained untouched by time and had been home to some of the ancient civilizations. 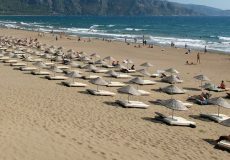 It has an appealing 7 Km long beach line dividing the salty waters of the Mediterranean and the fresh waters of the Köyceğiz Lake. Dalyan’s impressive Iztuzu Beach has earned a reputation for being one of the best beaches in Europe. 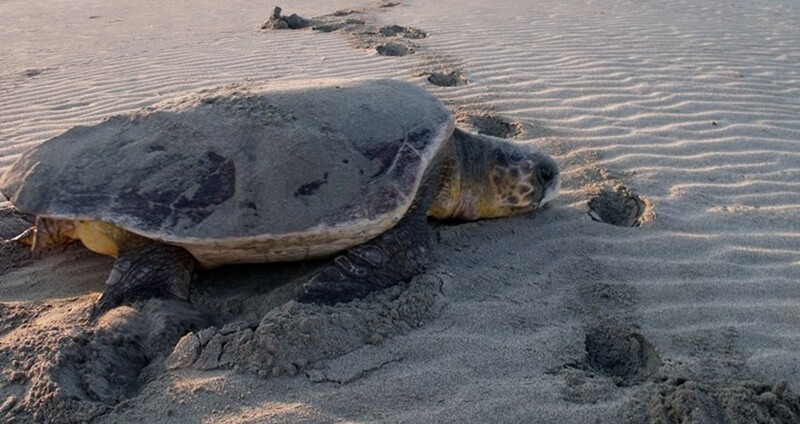 Popularly known as the ‘Turtle Beach with the Golden Sand’, the beach is one of the last known breeding grounds of the endangered Caretta Caretta (Loggerhead) Turtles. 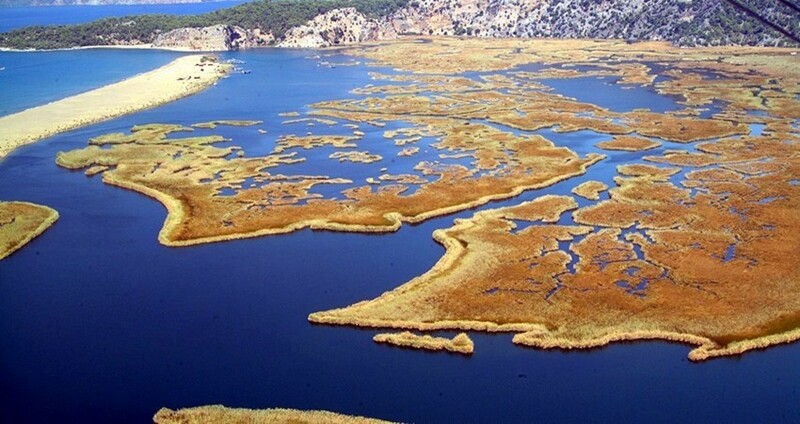 The mud baths near Dalyan and the ancient Lycian temple tombs of Kaunos are the other popular tourist sites nearby. 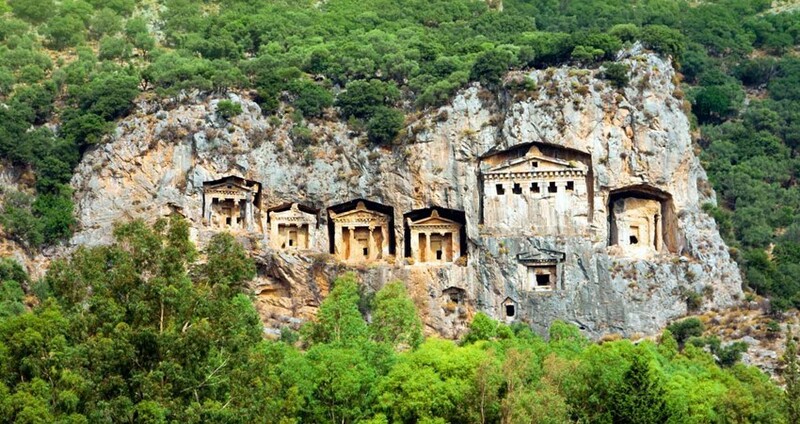 With Marmaris Dalyan Tour you will witness these natural beauties with your own eyes. 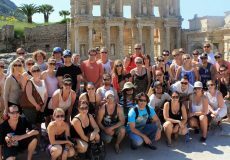 Categories of "Marmaris Dalyan Tour (By-Boat)"
Amazing day trip down the Dalyan river from Marmaris, the king tombs on the mountains were amazing, we really enjoyed our time and our guide had excelent knowledge of the area and sites, we also saw caretta turtles.The day was totally fun ! How long is the journey from Marmaris to Turtle Beach ? In normal weather conditions the sail will take 2,5 hours but there might be slight delays due to bad weather and strong winds. The journey begins around 8:30 hours with escorting you from the hotel of your stay to our boat at the harbor. After this, we begin our cruise in the Mediterranean Sea with a sight of infinite crystal clear blue waters ahead and clear blue sky on top. The journey to Dalyan is 2-hours by our boat. Our 3-storey boat is equipped with modern amenities, showers and toilets as well. On the upstairs, there are sun beds, and the bars on our boat are open all day serving unlimited supply drinks. On our boat journey to Dalyan, we stop for 40 minutes at the quiet Kizilkum Bay and let you enjoy swimming among the calm waters here. 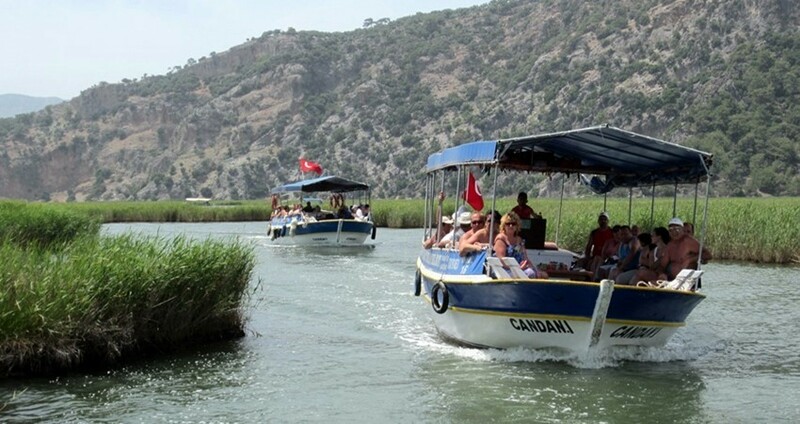 We continue our boat journey and reach Dalyan by mid-day. We arrange and serve the lunch onboard before the main story unfolds in Dalyan. After the lunch break, we arrive at the Turtle Beach where we stop for about 90 minutes. Here you can swim, and explore the area. This is a protected beach as it is one of the last known breeding grounds for the endangered species of Loggerhead Turtles. Some areas on the beach are closed for human entry. The Turtle Beach is regarded as one of the most beautiful beaches in Europe. If they are lucky enough, you might see the turtles swim or pass by. After visiting the Turtle Beach, we transfer our guests to small canal boats. On these special canal boats, we sail through the reeds which appear like a maze. The drinks are available on these boats. You need to pay for consuming them as they are not included in the tour price. 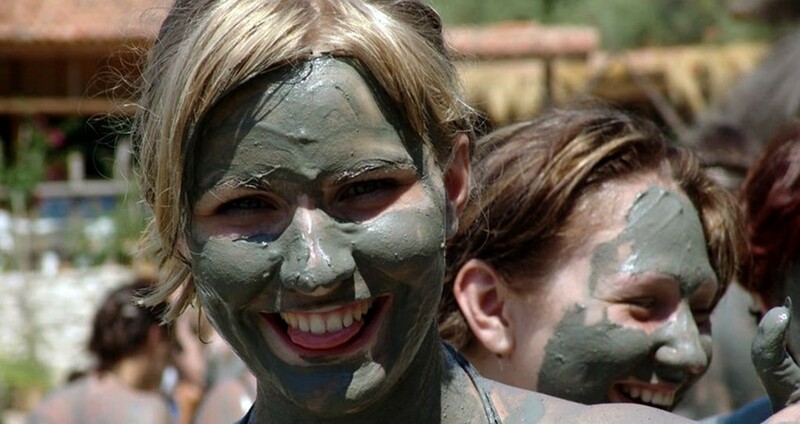 The thermal mud baths at Dalyan add more fun to this trip. They may smell bad because of the sulfur dissolved in them, but playing and bathing in these mud baths is good for your health. It’s said that mud-bathing here makes you look 10 years younger! After a joyful mud bath, you can use the showers to clean yourself and have some refreshments at the cafeteria nearby. At the end of the tour, we reach back to our big boat and sail back to Marmaris. We arrange to transfer our guests back to their hotels by our free hotel transfer service. This is a long day of the journey through sea and land among some of the untouched areas in the region. Though we take utmost care to complete the tour within the pre-determined time frame, there may be some delays due to unfavorable weather and the sea conditions. Some of the important facts and useful information about " Marmaris Dalyan (Turtle Beach) Tour by Boat "